Mr. Malcolm Sooknanan joined the TCL Group in 1999. He held the position of Senior Internal Auditor at RML and then at TCL until 2005, when he was appointed as Group Accountant until 2016. In February 2016, he was appointed to act in the position of Finance Manager/ Company Secretary of RML. Mr. Sooknanan spent five years in the Auditing profession, holding the position of Audit Senior with PricewaterhouseCoopers, immediately prior to joining TCL. 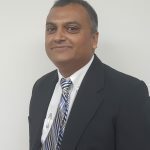 Mr. Sooknanan holds an International MBA from the University of the West Indies Institute of Business (Distinction) and is a Chartered Accountant (FCCA). 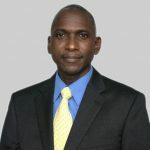 He is also a member of ICATT and ACCA and is currently Chairman of the TCL Group’s Ethics Committee (Trinidad).